Our editorial merely prefaced a collection of astute observations by Boas Evron, Edward Said, Christopher Hitchens, Edward Mortimer, Sadik Al-Azm and Michael Reisman. It was our intent to have each of these public intellectuals demystify what we believed to be the fundamental problem in the Middle East: the question of national identity. Collectively, they explored post-Zionism, the evolving nature of Israeli identity versus Jewish diaspora identity, Palestinian identity, anti-Zionism versus anti-Semitism, and the status of the occupied territories under international law. Nothing essential to the Arab-Israeli conflict was left unexamined—and, unfortunately, everything written all those years ago remains acutely relevant to our current predicaments. Identity continues to be the problem in both Israel and the Arab world. The myth persists in Israel today that the early Zionists were trying to create a “Jewish state.” They were not. They tried and in fact succeeded in creating a new national identity for those Jews who wished to leave the diaspora. They became Israelis, living in a Hebrew-speaking republic. And yet, today, Israel is both more secular—think of the beaches of Tel Aviv—and more theocratic and Orthodox in its Jerusalem enclaves. The reality is that Israel is a multi-ethnic, multireligious society, and it makes no sense to insist as a precondition for peace that its neighbors recognize it as “the Jewish state.” Such a precondition is merely another obstacle erected by a prime minister who opposes a two-state solution. As Boas Evron warned thirty-three years ago, “the promise of Israel as a ‘haven for the Jewish people’ has been proved false.” Whereas the Jewish diaspora has flourished in America and elsewhere, the Jewish population of the Hebrew-speaking republic known as Israel lives in a besieged state of mind. Its current prime minister, Benjamin Netanyahu, warns repeatedly of the risk of “another Holocaust.” And since we live in an era when even plutonium suitcase bombs are technically feasible, and since Israel has never defined its borders or negotiated a genuine peace with its neighbors, the fear of a nuclear event in this dangerous neighborhood is not just another paranoid symptom of an admittedly often demagogic Israeli politician. Israel has itself become a nuclear-armed state with a powerful military, and over the decades it has waged periodic wars with disproportionate violence against Hezbollah in Lebanon and Hamas in Gaza. But as we predicted in 1981, the real danger to Israeli democracy is from within. Around 25 percent of all first graders inside Israel—excluding the occupied territories—come from Orthodox or ultra-Orthodox families; another 25 percent come from the families of Christian or Muslim Palestinian-Israelis. This demographic picture suggests that the unresolved question of Israeli national identity will become even more acute in the future—and that only a secular construct can accommodate such differences. In addition, there are as many as 700,000 Israelis living in the occupied territories, where Israel effectively controls the lives of the 4.4 million Palestinians in the West Bank and Gaza. All told, there are more than 6 million Jewish Israelis and 6 million Palestinians living between the Mediterranean and the River Jordan. Clearly, these two communities are on a demographic collision course. Israel cannot claim to be both Jewish and democratic if it retains control over the daily life of so many people who define their identity as other than Jewish Israeli. And so, of course, a two-state solution involving the creation of a Palestinian state in the West Bank and Gaza, with East Jerusalem as its capital, is the only obvious and wholly rational solution. And just as clearly, this solution is not happening—at least in the near future, and perhaps ever. On the Arab side of the equation, things are just as convoluted. But it is still all about identity. Polls often show that a majority of Palestinians will settle for a Palestinian state in the West Bank and Gaza. But in the last Palestinian election in 2006, Hamas—a fundamentalist Islamic party that formally rejects a two-state solution—achieved a plurality, soundly defeating Fatah, the secular party. The outcome precipitated what amounted to a Palestinian civil war. Hamas took control of the Gaza Strip, while Fatah retained control of the Palestinian Authority in the West Bank. Hamas still employs terror to “resist” an ongoing virtual Israeli occupation and to achieve its political goals. The most recent Gaza war—in which more than 2,100 Palestinians and seventy-three Israelis died—nevertheless persuaded many Palestinians that in the absence of real progress toward sovereignty, Hamas remains a viable alternative. Sadly, there seems to be a symbiotic relationship between the right-wing Israeli opponents of any Palestinian state and Hamas: these two enemies need each other to deter any kind of nonviolent political compromise. In the meantime, the Arab Awakening of recent years has created its own counterrevolution. The initial uprisings in Tunisia, Egypt and Syria were fueled by the pent-up demands for a secular civil society. The protesters fervently sought modernity and common democratic rights. This was undoubtedly a good development, long overdue and still unfinished. But when Egypt’s Muslim Brotherhood won the country’s first post-Mubarak election and then overreached by taking steps to undermine secular democratic rights, the military autocracy seized on the moment to re-establish its control. Gen. Abdel Fattah al-Sisi’s regime proved willing to mow down more than 1,000 unarmed protesters to impose a dictatorship more draconian than Mubarak’s. Likewise, in Syria, the regime of President Bashar al-Assad has instigated a civil war that has killed more than 200,000 people. And then there’s the ongoing civil war in Iraq—inspired by our own 2003 invasion of that country—which has greatly inflamed brutal sectarian violence between Sunnis and Shiites. This, in turn, has created a political vacuum, most recently filled by an extremist Sunni criminal mafia—known as Daesh in Arabic, or the Islamic State (ISIS) in English—operating in both Syria and Iraq. Our most recent military intervention—an aerial bombing campaign against this so-called caliphate—may serve only to incite further Salafist terrorism against American targets. It also threatens to drag the Obama administration—and the United States—into yet another interminable Middle Eastern war. The Middle East today is thus a far more dangerous neighborhood than it was three decades ago. Unimaginative leaders in Israel and throughout the Arab world have made bad choices, but America’s ill-considered military interventions have consistently made things worse. So what is America to do? I love the Middle East. My earliest childhood memories are of Jerusalem. I love the colors and smells and cadence of Arabic spoken in the streets of Cairo or Beirut. I also love the modernity and verve of Tel Aviv. But all my instincts are to protect my Middle East from my America. These are two different worlds—and we Americans, firmly ensconced in one of these worlds, have no understanding of the other. Furthermore, after all our bloody, misbegotten interventions, we have no standing, no legitimacy as mediators, let alone as peacekeepers. I assure you, we do nothing to improve the situation with our boots on the ground and our deadly drones circling overhead. In the Arab world, we have historically aligned ourselves with generals and kings and narrow-minded sectarian tribal leaders. In Israel, we have become the ultimate enablers of Likudites devoted to colonization. It is time to walk away and leave these people to their own bad behavior. 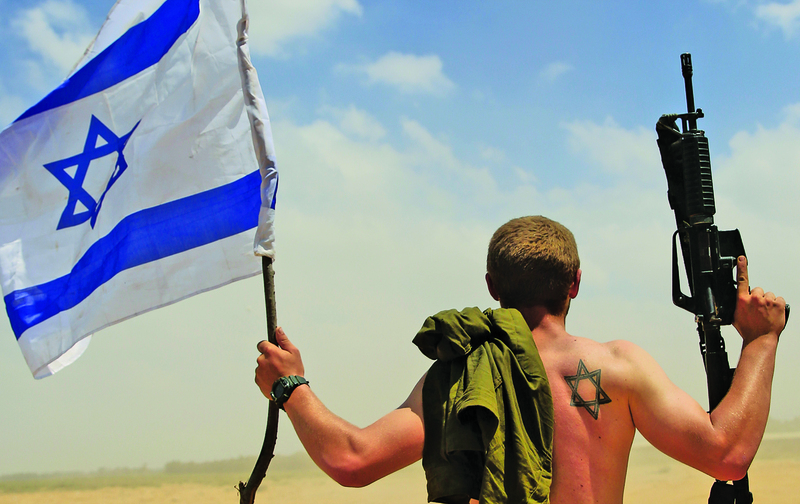 Let the Israelis occupy—and then let them grapple with the consequences. I oppose any academic boycott of Israeli institutions, but I support an economic boycott of products and services in the settlements. I believe we need to engage at every possible point with the Israeli people—but also to impose a policy of coldly correct diplomatic relations with the Israeli government. I would not give the Israelis a dime in military assistance. And I believe we should support the right of Palestinians (and others) to petition the International Criminal Court for redress when their human rights are violated. The pundits will say that disengagement with Israel is not politically realistic. They are right. But they are wrong to dismiss it as unthinkable. Less than a year after our 1981 editorial, Geoffrey Kemp, President Reagan’s chief aide for Middle East affairs in the National Security Council, advised: “The President should tell [Menachem] Begin that there can be no resolution of the Palestinian problem unless he abandons expectations of Israeli sovereignty over the West Bank and Gaza.” (The memo in which Kemp made this recommendation was declassified only in 2010.) Kemp also spelled out the steps that could be taken if the Israeli prime minister defied the president, including the possibility of withholding economic aid to Israel. In the event, the Reagan administration did not muster the political courage to force Israel to halt its settlements policy—and we are now all paying the price. Over the years in these pages, I have made a wholly pragmatic argument for holding a referendum that would impose a two-state solution, with borders based on the Green Line and with East Jerusalem as the capital of a Palestinian state. I believe that a majority of both Palestinians and Israelis would approve this broad solution, and a referendum would commit the politicians to a deal. But clearly, this is not going to happen—and without such a referendum, American policy is merely shoring up a dangerous and unjust status quo. The professionals of the “peace process” (I have in mind such diplomats as Dennis Ross and Martin Indyk) have come up with nothing over three decades. They have failed time and time again, and their failure has cost many Palestinian and Israeli lives. Disengagement should now be our policy with both Israel and the Arab world. We Americans should urge our government to end all arms sales to any Arab nation ruled by a general, dictator or king. We need to isolate and diplomatically contain any Arab regime that has demonstrably killed unarmed protesters, as in Egypt, Syria, Saudi Arabia and Bahrain. We should also close our military installations in Saudi Arabia, Bahrain, Kuwait and Qatar. Such a dramatic, categorical and evenhanded withdrawal of American arms and treasure would deal a bracing shock to the region’s ruling elites. But it would be a good and decent thing for all concerned. The so-called experts, our TV talking heads, will be quick to object that such a withdrawal would only open the gates to the barbaric head-choppers. These experts are wrong: the Salafist nihilists operating under the black flag of a farcical caliphate have bitter enemies all around them. They have no real future in the twenty-first century. And in any case, these sectarian wars are not ours—and our government has no business sacrificing young American men and women in such an ephemeral mission. The experts will call disengagement quixotic. They will speak in Kissingeresque bass tones about America’s “strategic” interests in Arabian oil. But I don’t care about oil, a fungible commodity that will be sold in any event on the global market by any regime that controls such carbon resources—especially since, given our climate peril, we should be focusing on renewable and sustainable energy. And I don’t care about the “strategic” consequences: they cannot be worse than the Middle East we have mismanaged. We Americans must have a lower profile in the Middle East. Of course we can provide humanitarian assistance. But the Arabs are weary of our shallow promises of security and democracy, and all our flaccid diplomatic efforts to sustain the “peace process” in reality seem only to sustain a dead-end status quo. Enough. A year before Navasky and I plotted our special issue, we devoted an issue of the magazine to an essay by the late, great historian William Appleman Williams. “What happens,” he wrote, “if we simply say no to empire as a way of life?” That is the essential question America faces in the Middle East.